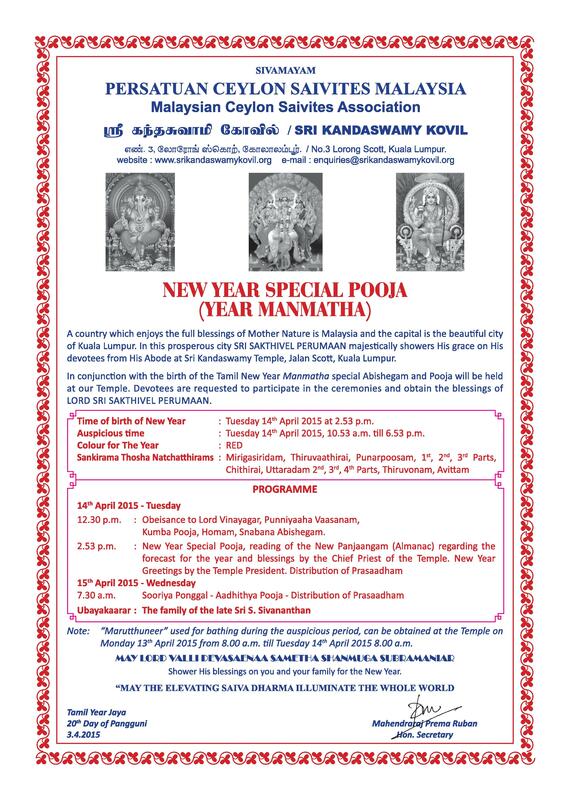 In conjunction with the birth of the Tamil New Year Manmatha, special Abishegam and Pooja will be held at our Temple. 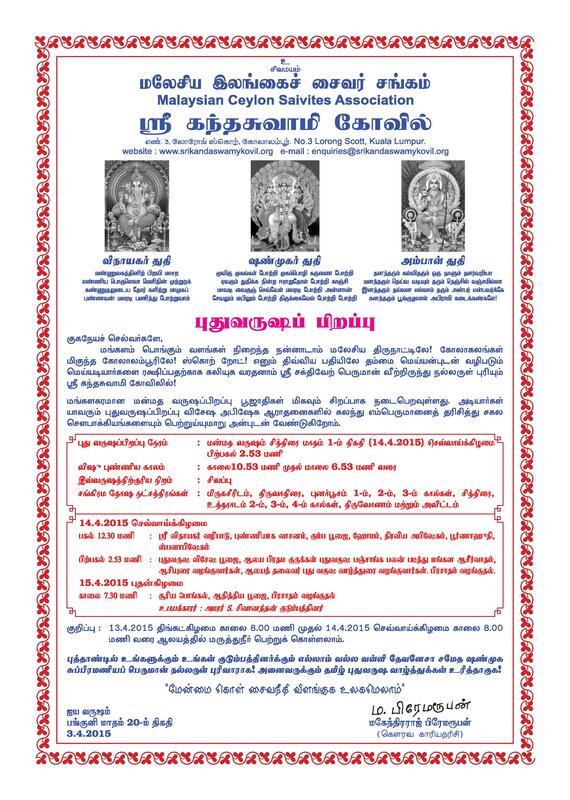 Devotees are kindly invited to participate in the ceremonies and obtain the blessings of Lord Sri Sakthivel Perumaan. Time of birth of New Year : Tuesday 14th April 2015 at 2.53 p.m.
Auspicious Time : Tuesday 14th April 2015, 10.53 a.m. till 6.53 p.m.